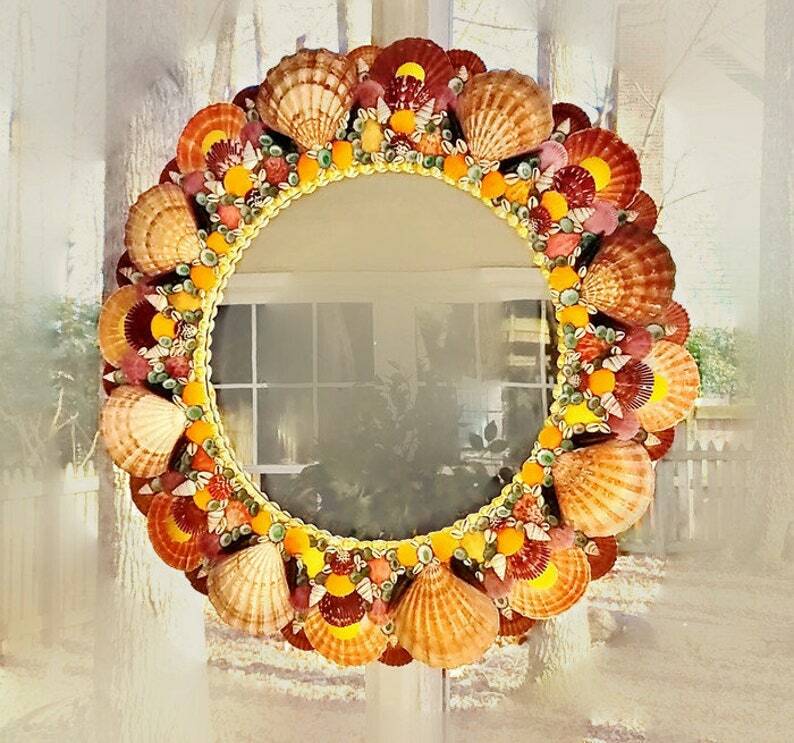 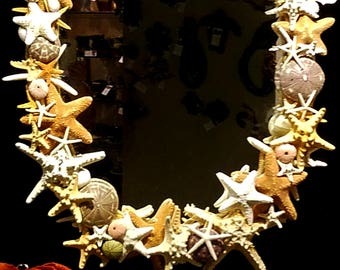 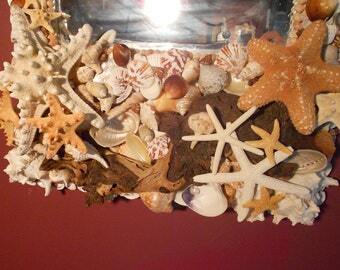 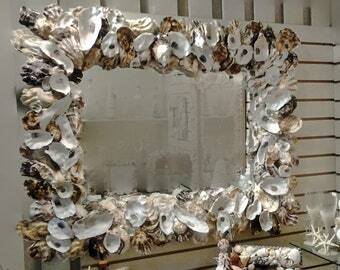 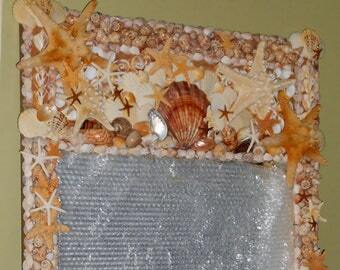 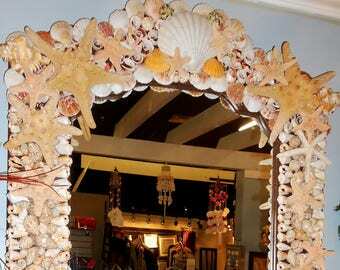 The SCALLOP SEASHELL Mirror pictured has been sold, this is a sample of how mirrors look when ordered. 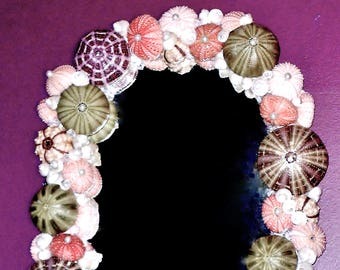 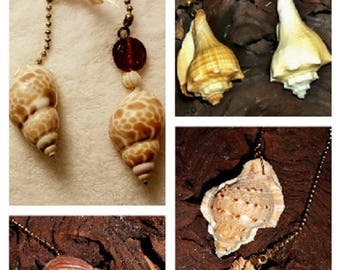 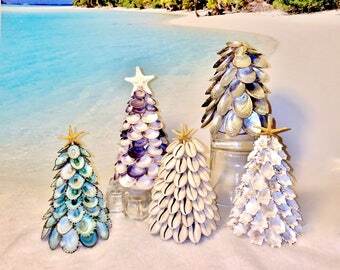 A custom order will not be exactly like photo, however, can be similar in size, shape, and materials seen! 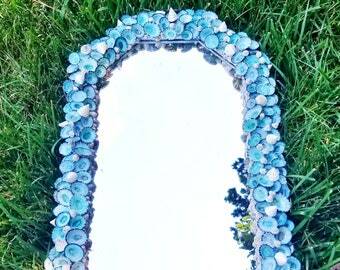 Convo me for your ideas and needs!